Sage, the genus Salvia is one of the most famous and used herbs in the world. This volume, containing twenty chapters written by the leading experts in the field, presents a comprehensive coverage on all aspects of Salvia. 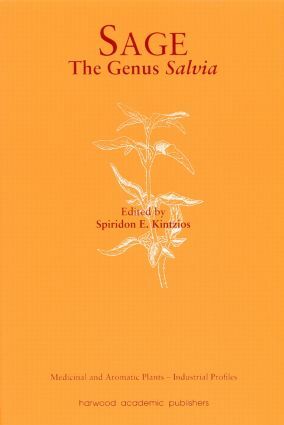 Topics covered include the presentation of the (approximately 400) most known Salvia species; the distribution of the genus; its chemotaxonomy, ecophysiology, cultivation technology and breeding methods; information on the extraction, isolation, characterisation and structure of a large number of bioactive components the various pharmacological properties of the species; the share of Salvia products in the aromatherapy and natural cosmetics market; biotechnological techniques; and commercial aspects. This comprehensive volume on Salvia should be of interest to everyone involved in medicinal and aromatic plant applications and research.